This Active Learning Set of Football Themed ALPHABET PRACTICE Materials for the Classroom includes outdoor games for physical education or physical activity. 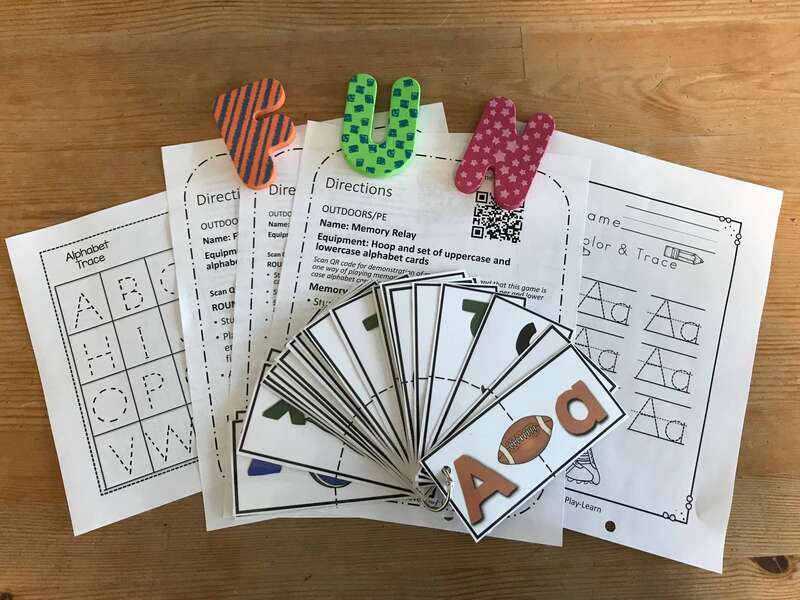 The set includes 26 alphabet worksheets on upper and lower case letter practice, 2 sheets of A-Z alphabet practice, 3 games with a variety of modifications for students to play outdoors that reinforce the skills taught indoors with fun active games. Additionally, the set includes 26 alphabet cards for indoor/outdoor use with the games or at classroom center activities. Football Alphabet DOWNLOAD FOR FREE FOR 48 hours or purchase here thereafter.